I would definitely wear both of these looks. I really want to get some red booties - like these. 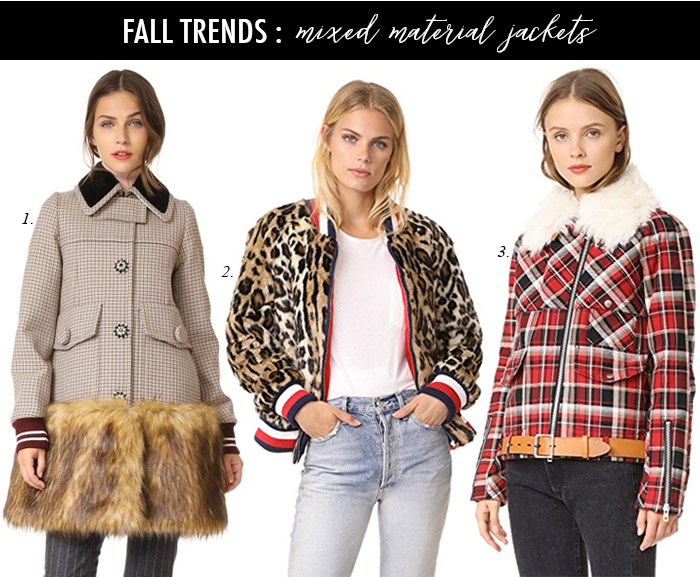 Mixed materials and plaid are big trends this fall. All three jackets caught my eye when looking through the new arrivals. I would like to buy them all! 1. This red lace skirt is marked down to $25. 2. I also like the green version of the lace skirt. 3. These fun fuchsia (purple/pink) suede mules are marked down 50%. 4. This ruffle dress would make the perfect little black dress. 5. This comfy pink v-neck sweater is marked down to $25. 6. This plaid wool jacket is marked down to $30. 7. This denim shirt dress is on sale for $25. 8. Oversized coats are the trending - and I really like this bright yellow one. 9. This denim skirt is marked down to $35 on sale. 10. This “golden” dress with ruffle sleeves is a great price. 11. These studded mules are marked down 40% and come in three great colors. Great outfit inspiration! I just love those velvet mules! I seriously need those embroidered flats in my life! Yay for sweater weather! I can totally see you in both those first two outfits!! Sooo cute! I love those slides! The velvet, swoon! how do you do it everyday? Seriously. You find the best deals. I'm definitely not ready for fall, but cozy sweaters look pretty good! 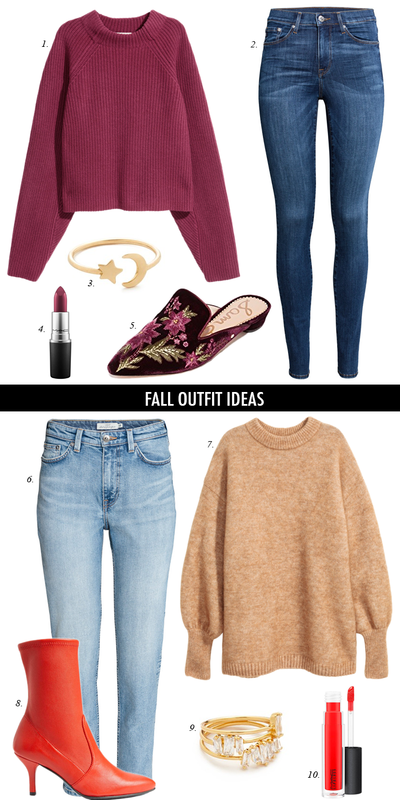 Love all of this fall inspiration! I love the chunky sweater & those embroidered mules are gorgeous, I've been looking for a pair!